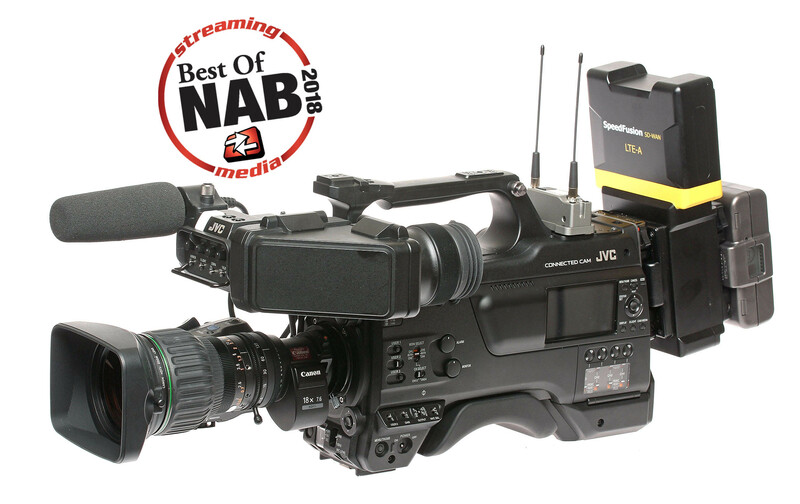 WAYNE, NJ (April 19, 2018) – JVC Professional Video, a division of JVCKENWOOD USA Corporation, today announced it received the “Best of NAB 2018” award from Streaming Media Producer for the new GY-HC900 CONNECTED CAM broadcast camcorder. Editors and contributors for Streaming Media and Streaming Media Producer created the list of winning products last week at the 2018 NAB Show in Las Vegas, Nev. CONNECTED CAM features three 2/3-inch CMOS image sensors for full HD imagery, as well as enhanced connectivity for a complete news-over-IP workflow solution in the field. 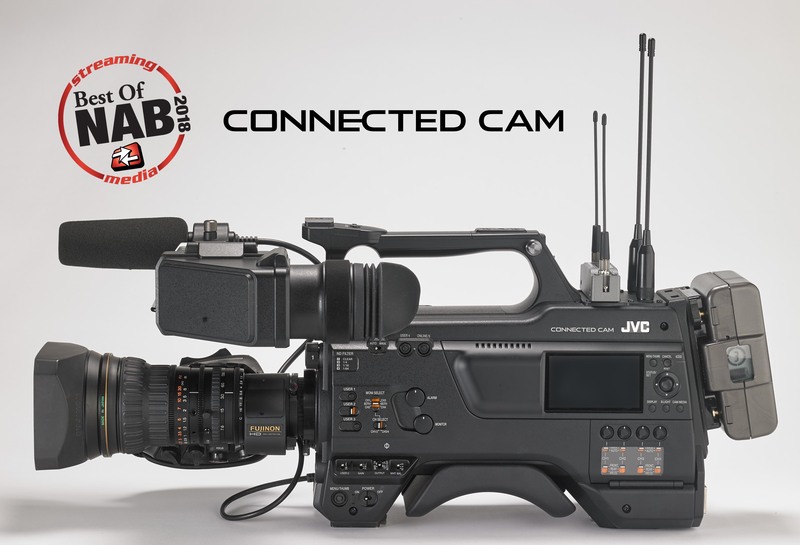 With a new communications engine that optimizes both image processing and IP performance, CONNECTED CAM delivers simultaneous recording, low latency streaming, and simultaneous decoding for return video and IFB. Latency can be as low as 500ms for both outgoing and incoming video. CONNECTED CAM has built-in Wi-Fi (2.4Ghz/5GHz) with dual external antennas, and offers streaming performance up to 20 Mbps. Equipped with an industry standard B4 lens mount and four-position optical filter, CONNECTED CAM delivers excellent sensitivity (F12 at 60Hz, F13 at 50Hz in extended mode) and high 62dB signal-to-noise ratio (in standard mode). Other features include a 3.26-inch OLED color viewfinder, 3.5-inch LCD panel for menu navigation, three XLR audio inputs, 3G-SDI and HDMI outputs, and dual memory card slots for SDHC/SDXC media. CONNECTED CAM will be available in June.